Kinetic or kineticism was derived from the Greek word ‘kinesis’ which refers to works that incorporate real or apparent flow of movement. It evolves to the possibilities of looking how certain things move, creating the aesthetical visual presentation. 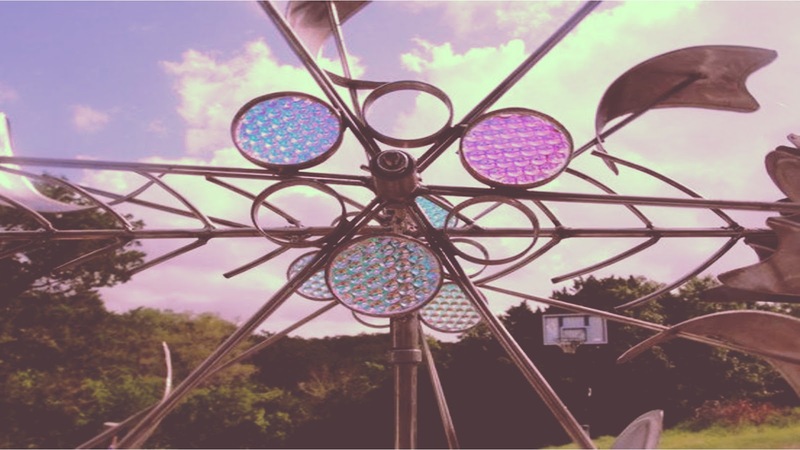 In visual art, kinetic art comprises of many different art forms and media styles. This art form may include animation art, cinematic art, and other types of performance art. For Kinetic art, everything depends on movement for its aesthetic effects – from the largest object in the sculpture to its tiniest part, everything is moving all the time. 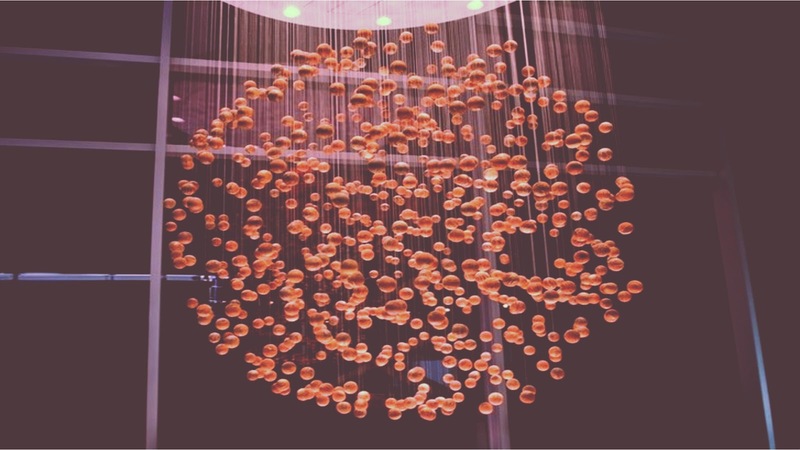 Some describe Kinetic art as an aesthetic creation in which it solely depends on its design of physical movement that is “within the perceptible range of human senses.” For some people, Kinetic art may look like an engineering marvel than a simple work of art. Masterpieces comprise of well-thought works that stir up human senses. As it comes in many forms, nothing can surpass the hand-powered and motor-powered sculpture of Jean Tinguely and Alexander Calder. These perhaps are the most famous Kinetic art ever made, whose works evolved in movements caused by air currents. Today, Kinetic art refers to the art of both real and apparent motion created between the years 1920 and 1970. But kinetics was seen long before it was incorporated creating in fine art. Manifested in different creative early civilization, one of the earliest and best examples of kinetic art would be the wind chime. This simple household creation was used more than 5000 years ago throughout Southeast Asia. Wind chimes may not be considered as fine art for some but its single purpose is a mighty one. Exploring the interconnectedness of humans to Mother Nature, wind chimes believed to inspire transcendent states of being. Wind chimes are relatively simple works of art but it falls under the definition of an aesthetic description of Kinetic art. Other early forms of Kinetic art can be found in hanging moving sculpture of whaling voyages in the Netherlands which dates back centuries before the Industrial Age. These fascinating moving sculptures are on display at Zaans Museum in the Netherlands. Another symbolic yet humble work of art, the Nordic Himmeli appears to be a direct descendant of the modern-day Kinetic art masterpiece. These ancient hand-made sculptures originated from the Germanic word which means ‘sky.’ These delicate geometric mobiles play a big part of Christmas decoration in Finland. Made of straws these Christmas ornaments ‘danced’ with the wind, providing mini presentations for the little minds to marvel. There are many stories about the Himmeli origins but the most prevalent one is that it promotes good harvest throughout the year. Ancient people believed that the bigger and more intricate the ornament was, the better harvest would be. No matter what its purpose was, many artists consider Himmeli for its kinetic and aesthetic art form that predates Modernism. What considered as the modern Kinetic art movement actually began during the 1920s. Kinetic sculpture or simply defined as sculpture in which movement whether it’s motor driven or not remains as the basic elements of art. As what others refer to as kineticism, it became a pivotal aspect of sculpture in the 20th century. Many would marvel at its art form, providing a different and unique experience for the creator as well as to the audience. Its modern-day origin started with Impressionist artists like Edgar Degas, Édouard Manet, and Claude Monet, first when they experimented with incorporating movement of human subjects on their canvas, producing one of the kind masterpieces. Their endeavor created an art form that more realistic than their contemporaries. However, the Kinetic art inspiration does not stop at making great portraits. By the early 1990s, a whole new generation was born. Several artists began incorporating dynamic motion in expressing their love for their art. Naum Gabo, one of the artists who began naming this art form, often describes his artwork as ‘kinetic rhythm.’ His moving sculpture entitled, ‘Kinetic Construction’ also named as ‘Standing Wave’ was released between the years 1919 and 1920. It was given such named because it imitates a wave formation when started. Gabo continues his kinetic rhythm works of art in static sculptures that captured the aesthetic of motion, a subject he was famous for throughout his career. Gabo’s artwork was the first of its kind during the 20th century. Since then, from the years 1920 until the 1960s, a number of artists followed suit, creating and experimenting with Kinetic art with mobiles and other new forms of sculpture. The known pioneers of kinetic sculpture include Marcel Duchamp, Alexander Calder, László Moholy-Nagy, and Naum Gabo. Throughout the 1920s, Hungarian artists, László Moholy-Nagy worked on a mechanical sculpture entitled ‘Light Prop for an Electric Stage’ or more commonly known as the ‘Light Space Modulator.’ His creation consisted of moving panels, electric motors, and electric light bulbs in several colors. When activated, the sculpture interplays of light, color, motion, and sound. The Light Space Modulator also started another revolutionary art form called lumino kinetic art movement. It introduces the new concept merging electric light within the elements of sculpture. In the early 20th century, three important artists took the usual stationary sculptures to another level, giving them the freedom of motion and movement in their art. Vladimir Tatlin, Alexander Rodchenko, and Alexander Calder initiated the unpredictable movement of Kinetic art. They tried and successfully incorporated movement in their masterpieces with technological enhancements. These three artists created the term ‘mobile’ which comes from the ability to modify how gravity and other atmospheric elements affect the sculpture. 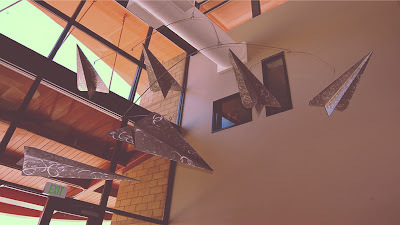 Many view the little distinction between the styles of mobiles in Kinetic art, but it still has a big distinction. Mobiles losses their significance when the audience has control of their movement. This serves as one of the greatest features of virtual movement. If the masterpiece moves under certain conditions that are not natural or when the audience controls the movement even just the slightest, the masterpiece is considered as a virtual movement. Kinetic art had other influences in other art forms such as mosaic pieces. Most mosaic pieces manifested many kinetic influences showing clear distinctions between light and dark tiles with several dimensional shapes, creating unique and apparent movements. Back in November 2013, the MIT Museum displayed some 5000 Moving Parts as part of their Kinetic art exhibition. Giving a big nod for the ‘year of Kinetic art’, it celebrates the uniqueness of the Kinetic art which even features special programming dedicated to the art form. It features works of Anne Lilly, John Douglas Powers, Arthur Ganson, and Rafael Lozano-Hemmer. Today, Neo-kinetic art increasingly grew popularity in China, where people can freely see these Kinetic art pieces in many public places like Wuhu International Sculpture Park and in Beijing. Kinetic art still continues to fascinate people with its well-planned motion which defines its whole modern art from Impressionism onwards. Kinetic artists gave modern day society of presenting different artworks which moved or gave the impression of movement from mechanical sculptures, mobile, to Op art paintings. The art form offered society some of most essentials expressions of art with presentation rather than presenting living reality. Tracing back its origin from Gabo and Constructivist movement during the 1910s moving to Impressionism, Kinetic art grew into an art form of lively avant-garde after the World War II, providing the much-needed diversion. Its concept crept through subsequent generations of artists, providing rich, resourceful, creative, and technical concepts seen today. Kinetic art continues to feed limitless ideas for the artistic minds, seen in modern-day sculptures, paintings, and art environments which all depend on the presentation of a motion for effect. Kinetic art was the first work of art that experimented with time and space, pushing limits and boundaries of human imagination. It still fascinates both the society and artists with the interrelationship of time and space. Most Kinetic artists still interested in the analogy between machines and human bodies, they express their fascinations through Kinetic art. 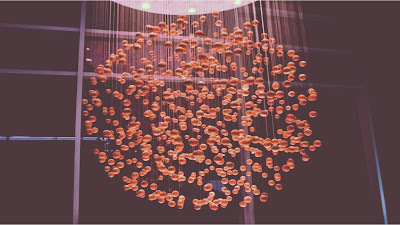 Kinetic art proved to be another great feat since the discoveries of other important facets of technology. There are many varieties of Kinetic art; some are quaint, humble, while others are superficial, stirring up the senses. Carved Lake Art offers great Kinetic art pieces that excite the senses for its beautiful sculptures. Their pieces are one of a kind for its aesthetic of both artistic uniqueness and functionality. Known for creating great and detailed wood art, maps, and different varieties of gift souvenirs, Carved Lake Art has many Kinetic art pieces to choose from on their websites.